Thank you for your interest in Notre Dame Jr./Sr. High School. Please click a button on the left to view our brochure, access a printable version of our application, view financial aid FAQ's, or contact us. Our regular admission process includes both an interview and an entrance exam. Financial aid is available through FACTS. You can call us at (570)-421-0466 to set up a tour of our campus and learn more. You may also FAX completed applications to (570) 476-0629, and someone from our office will contact you. 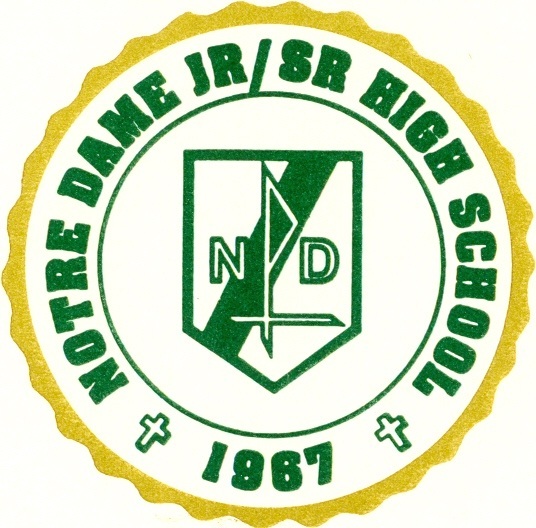 If you have further questions e-mail our Principal, Mr. Jeffrey N. Lyons, at: principal@ndhigh.org. He will reply as quickly as possible.